Becoming a certified personal trainer (PT) is your ticket to a rewarding career where you help people achieve their personal training goals and change their lives. But how long exactly does it take to become a trainer starting from zero? Whether the average study times for certifications such as NASM and ACE? In this article, I will break down exactly how long it takes depending on your level of knowledge and which certification you choose to study. Keep reading to find out! I also suggest reading my article on personal trainer salary as well as the top 5 certifications to choose from! If you’re interested in starting your journey as a trainer right away, I have a free NASM study guide/practice test as well as a free ACE study guide and practice test you should check out. If you have any questions or concerns, drop me a comment here and I will get back to you within 24 hours. How do Students Progress Through a Personal Training Course? It can also be a financially rewarding job if you know how to gain clients and keep them happy. This article will break down the most common question that I get as a personal trainer. How long does it take to become a personal trainer? Unfortunately, this question is not all that straightforward, and there are many factors to consider. Like your work schedule, the amount of free time you have to dedicate to study and your motivation levels. You also need to factor in the additional time costs of maintaining your qualification in the years ahead. Since you’ve reached this article, you are probably reasonably interested in becoming a personal trainer. The most helpful articles for you to read after this one are the ultimate guide to starting as a personal trainer. To correctly answer the question of “how long does it take to become a personal trainer?”, this article will look at all the different aspects that go into estimating how long a course will take. It will also take a look at the five best and most popular PT qualifications and the maximum completion times each course allows. I will also give realistic estimates that take into account day to day obligations such as full-time work and extracurricular activities. Well, the general answer is about 3 to 6 months, but there are a lot of variables at play which could lengthen or shorten this time. This timeframe fits perfectly with some of the popular certifications on the market such as NASM or ACE. Before discussing “maximum course times,” “prerequisites” and “continuing education requirements,” I want to quickly mention how important it is to select a “respectable” course that will be widely recognized by some industry bodies and potential employers. 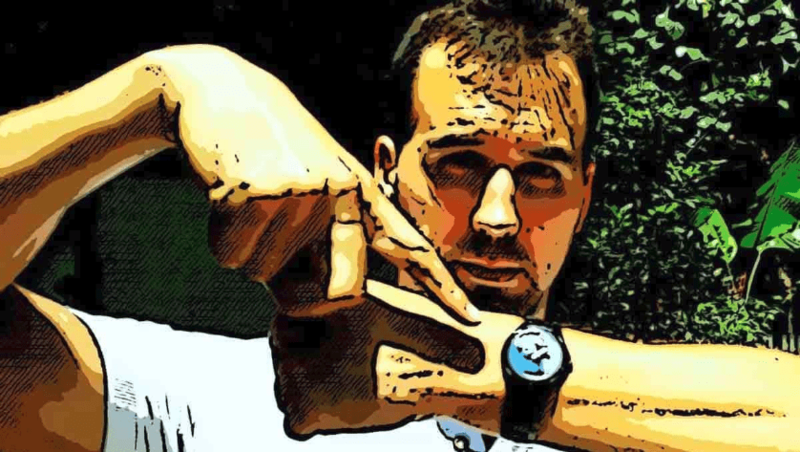 While I will deal with the five most credible PT certifications, in my opinion, you should still see what’s out there. Here are a few factors you should always to take into account when assessing whether or not a course is worth investing. Every PT qualification should be sanctioned by an accreditation body to be legitimate. These organizations act as quality control overseers to ensure a course is delivering minimum training standards. 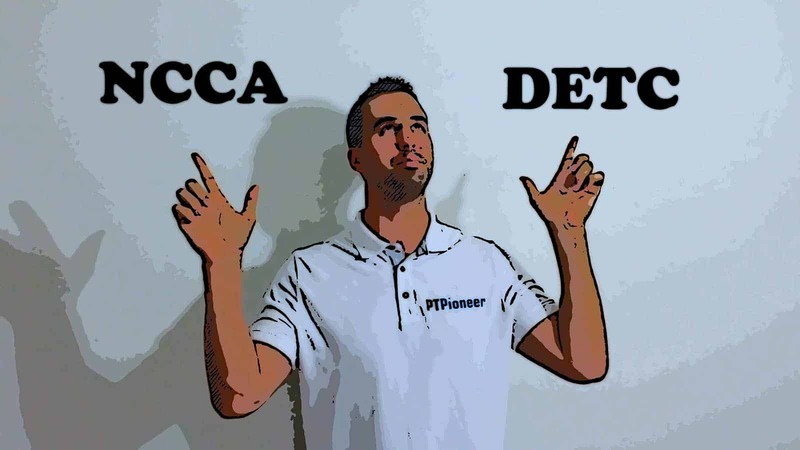 In my opinion, the only two credible personal training accreditation bodies out there for the United States fitness industry are the Distance Education and Training Council (DETC) and the National Commission for Certifying Agencies (NCCA). When selecting a course make sure it has a first aid teaching component, such as CPR/AED. That teaches students how to deal with a person who is having heart problems, or there is a first-aid incident. You need to have a CPR/AED certification before you can take the test for any legitimate personal training certification. This is another time factor you need to consider before getting certified. Usually, CPR/AED courses are a one-day event and last just a few short hours. It is essential to choose a course that teaches this component because of the working environment of a PT. This includes people pushing themselves and their bodies to the limit. And since most states require a defibrillator to be present in the gym environment, most employees are required to have training. I guarantee you that over the course of your PT career you will have at least one fatigue-related or first-aid incident. Most employers of PTs such as sports clubs, community organizations and gyms will also require you to have studied a CPR/AED. After over ten years in the personal training industry and familiarity with dozens of different accreditations, I can confidently say that the certifications with the highest industry recognition are NFPT, ACE, ACSM, NASM, ISSA, and NSCA. Make sure to read my article on the top five certifications! That is not to say that other certifications are not good or not worth looking into. It’s just that these five are generally considered to be of the highest quality by many players in the health fitness space. Unlike college qualifications that will usually commence at a set time and then proceed according to a specific schedule (such as semesters or trimesters), PT certification courses will usually allow you to study at your own pace and take the final qualification exam at a time of your choosing at an approved exam location. This being said, many certification programs will have an expiry time on when you must sit the exam by. For example, the ACE certification requires students to sit the exam within six months of purchasing the program materials, and the NASM certification needs students to sit the exam within one year of course purchase. 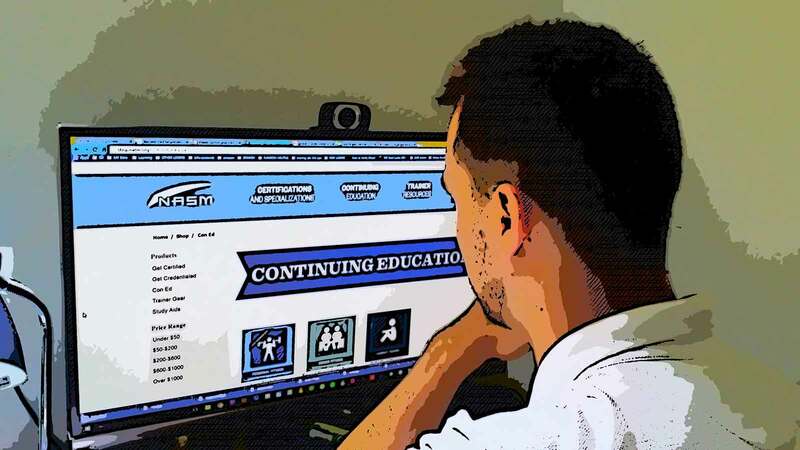 Other study programs like the ACSM qualification don’t have an expiry date, and students can take as long as they like with the materials before registering for the exam. This means that someone with extensive knowledge of the subject matter of a course (such as a person with lots of experience in the industry or a person with a bachelor’s degree in a health or fitness field) could prep for and take the exam within a concise space of time. One thing that many students do not take into account when researching how long a qualification will take is the “hidden time cost” of maintaining their eligibility. Many courses require students to maintain their qualification through continuing education (CE), which requires people to continuously educate themselves through short classes that accrue education credits (CEC) or count as continuing education units (CEU). These CEU requirements can require a commitment of anywhere from 10 to 15/year. These additional CEC and CEU requirements are outlined in the table below. Here is a breakdown of the maximum time you will have to complete the following five high-quality PT certification courses. I’m also going to estimate regarding a realistic completion time. While your completion time for these courses will vary according to personal factors such as your workload, amount of free time and motivation levels, I’ve based my estimates on the “average” hypothetical person working a 9-to-5 job with weekends off. Detailed reviews of all the below courses can be found here. This PT certification from the American Council on Exercise is excellent for people who are just getting into personal training, as the organization’s course material has a gentle learning curve making it accessible for people from a variety of backgrounds and education levels. This qualification is a great certification to build more advanced qualifications upon and is one of the most highly sought after industry certifications and is viewed favorably by many gyms in the United States. To find out more about the ACE certification, check out my full review here. I highly suggest you check out their website as well. How long will it take? — Students have 180 days (or six months) from the time of purchase until their exam registration expires. Because most people come to this course with little or no prior experience and the information you learn is quite general and covers many different topics, a realistic completion time for this qualification is about 4 to 5 months. This time can be reduced by using my free ACE study guide and practice test that helps direct your studying. The PT certification from the National Academy of Sports Medicine is one of the best training courses out there. It has grown in recognition and credibility over the years. This course is very well run, NCCA accredited and has a strong focus on corrective exercise training for targeted demographics such as the elderly, pregnant women, people with eating disorders and people recovering from illnesses. The NASM PT certification is one of the most highly sought-after qualifications in the industry and has wide recognition amongst gyms in the United States. If you want more info about this certification, check out my full review. I also suggest that you check out their official website for the latest news and up-to-date information. How long will it take? Upon purchasing the program materials, students have 12 months to complete the program materials and then sit the two-hour exam. For someone coming to the course with no prior experience, there is quite a lot of information to digest. Although not as much as some courses. A realistic timeframe for somebody with average commitments is about 3 to 4 months. This time can be reduced by using my free NASM study guide in practice tests/quizzes that help dramatically with your studying. The certification from the American College of Sports Medicine is widely regarded as one of the best courses. This is especially true when it comes to post-rehabilitation and corrective exercise training. The ACSM course is quite rigorous, and it has one of the most extensive textbooks of all the courses I’ve seen. You can check out my review of the course here. You can take a look at their website here. How long will it take? Students have an unlimited amount of time to work through the training materials in this course. Which is a good thing because the textbook is enormous! They can register for the exam whenever it suits them. Due to the large textbook and the fact that the course material is quite dense. This qualification would realistically take the average person 5 to 6 months to complete. This certification from the National Personal Training Institute is a very comprehensive and credible certification. You can receive a diploma. This course is very dense and will take you 500 hours of study over six months. This includes 50 hours of practical training sessions with a qualified instructor. This course is one of the most intense courses out there, and it goes into detail on biomechanics, physiology, and nutrition. If you want to know more about the course, check out my review here. Or check out the NPTI website here. How long will it take? Realistically this course is likely to take you a full six months due to the very involved curriculum. They also require an off-site training requirement. Students are also responsible for attending the final qualification exam with an off-site agency. This certification from the National Strength and Conditioning Association has one of the most challenging exams. It has an excellent and long-established reputation and was the first fitness education provider ever to be accredited by the NCCA. This course has an excellent focus on strength and conditioning training. You can check out my full review of it here, and I strongly recommend that you check out their website as well. How long will it take? This course has a 9-week online prep component that does a great job of preparing new candidates for the final exam. You can still take the course at your own pace and once you purchase the program materials. You will have 180 days (or six months) until the course expires. A person with average commitments and spare weekends could probably complete the online prep course in 3.5 months. The NFPT or the National Federation of personal trainers it is a fantastic choice for people just getting started out in the industry. For the NFPT certification, you have a whole year from the time that you purchase the certification package. There are five main areas to study with NFPT. They are human anatomy, human physiology, fitness components, program development and professionalism/communication skills. Check out the NFPT website here. How long will it take? – The average prep time ranges from 60 to 90 days. Depending on your schedule or your previous education related to exercise and fitness, it might take a little longer. While the above courses are more than enough to get your PT career on its way. Some people may want more involved study. While most employers in the general fitness industry would still want a personal trainer to have an essential PT qualification, an associate or bachelor’s degree certainly doesn’t hurt your employment chances. There are also plenty of other advanced certifications that can be obtained after obtaining a standard certification. These will open your doors to more possibilities in the personal training world. 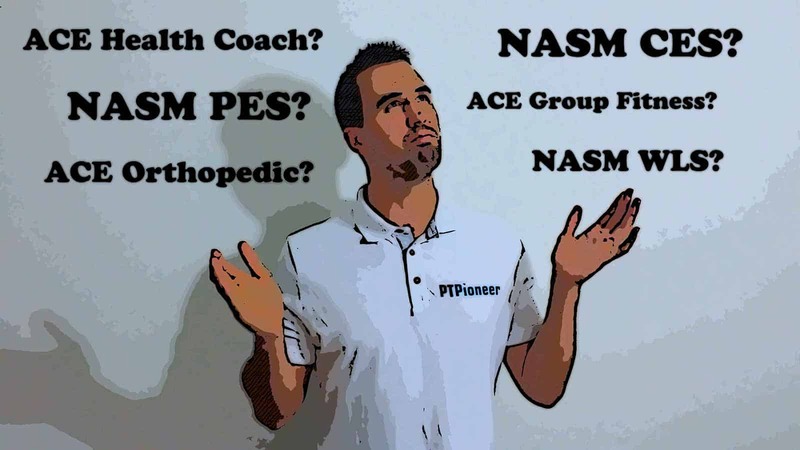 Some of the advanced certifications that I talk about on my website are the NASM PES and the NASM CES. These two certifications focus on athletic performance and corrective exercise training relatively. These two certifications are very well recognized within the industry and can greatly expand the skills of a personal trainer. The timeframe for being able to get certified with either one of these two is approximately the same as the necessary certifications which are about 3 to 6 months. You can check out more information on the NASM PES from their website as well as the NASM CES. If you want to gain much more in-depth knowledge of health and fitness and acquire a more varied skill set, take a look at an associate degree in health and fitness with a vocational school. An associate degree will usually take a few years to complete, and most will be run according to a semester schedule. After you graduate, the knowledge you have should be enough to help you pass any general PT course relatively quickly. This qualification is an excellent way to set yourself up for a serious and more flexible career in the fitness industry. While a bachelor’s degree may be overkill for someone who wants to be a PT. You may find it useful if you are thinking of having a broader career. In the fitness industry with subject studies including general education, anatomy, physiology, nutrition, injury prevention, program creation and fitness assessment. As well as many other fitness related subjects. This may also be a good option for somebody who would like to start their own business in the fitness industry or take on more advanced courses such as the NSCA’s superior strength and conditioning course CSCS which requires a bachelors degree as a minimum qualification. If you take this into consideration, tack on another 4 to 6 years as these are the average times it takes to complete a bachelors degree. Overall, About 3 to 6 months is the general answer, but as you can see, it depends on how much time you have. I would suggest treating all PT qualifications in a six-month course by default. The next thing I recommend that you do is Take the quiz to find out which PT certification is the best fit for you! There’s no point rushing through a course only to fail the exam and then have to pay the hefty recertification fees. Six months will give you more than enough time to go through all of the material slowly and methodically. Overall there are a few excellent programs with the top two, in my opinion, being the NASM program in the ACE program. Click on the links to check out their websites for more information or click on the links below to read my reviews. 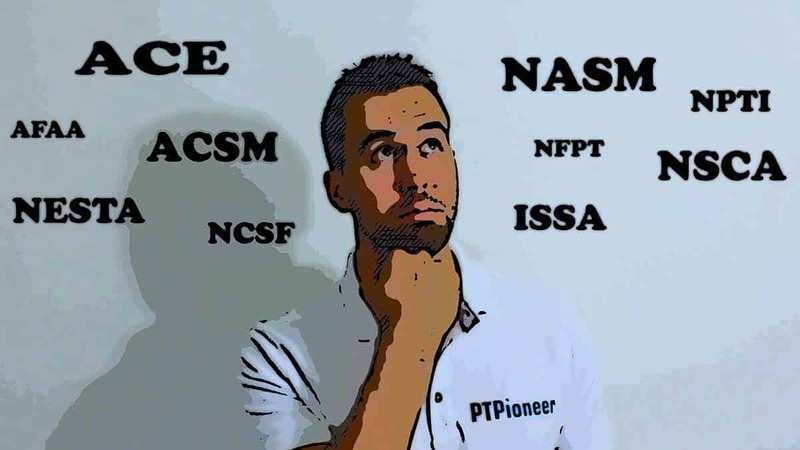 The above courses are just a few suggestions and my personal favorites, there are many other good PT certifications out there being offered by other bodies that I’ve also reviewed, such as the courses offered by the NCSF, NFPT, NESTA, ISSA, and AFAA. hey Tyler! Great info and thanks! Torn on what cert to go after as this will be a new career move. I think NASM might be my best option but can’t commit since there are other great certs out there:) Do you know which certification is good to mix with martial arts (internal style- qi qong, Hsing-i etc..) My goal is to help the older generation build core strength and develop better chi-breathing.. I have been practicing these styles for the last 10 years so was wondering which cert will go hand in hand.. any input is greatly appreciated..thanks! I am glad that you have been enjoying my content. Have you checked out my article on the top five personal training certifications? That might direct you in the right direction. It looks like You are looking to do some specialization training. I am pretty sure that NASM has an MMA training specialty certification. And might be best to go with NASM since they would be using the same OPT training model for both programs. I Wanna to study ace,wanna to know the cost and period. 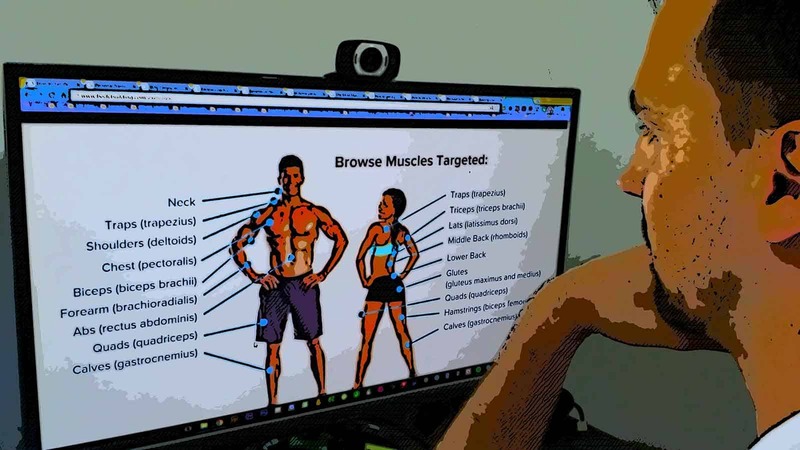 The study time depends on how much knowledge of exercise and fitness you already have under your belt. The ACE test should take approximately 4 to 5 months on average. From the time that you purchased the exam you have exactly 6 months to take the test. On average ACE will cost between five and $600. It might be a little bit more or a little bit less depending on if there is a promotion running at the time that you purchase.